Nancy Garcia, then-President of the Nevada County Tea Party in Northern California, wore a white sweater, a red Tea Party shirt, big glasses, and a plastic name tag as she introduced me as the evening’s guest speaker. She was standing in front of homemade signs featuring the Statue of Liberty and inspirational quotes as she introduced me to the mostly-senior crowd. It was 2013 and when Garcia -- my mother’s seventy-something year old best friend –invited me to say a few words in a meeting hall at the fairgrounds, I didn’t hesitate. “We’re so blessed to have one of the original co-founders of the Tea Party Patriots,” she smiled. “He’s always so ‘up,’ you’ll feel better after you hear him.” The crowd welcomed me warmly as I strode to the front in my black cowboy hat and a western-style shirt, my nod to Ronald Reagan’s influence on our state and nation. During the speech, I talked about how the Internal Revenue Service had unfairly targeted tea party, pro-Israel, pro-Constitution, and other patriotic groups. Thankfully, the lawsuit funded by my organization Citizens for Self-Governance brought the truth to light. In October, the federal government admitted they targeted these patriotic Americans and agreed to settle the class-action lawsuit in Ohio and a tea party challenge in the District of Columbia. If the court approves the class settlement, the government will have to fork over $3.5 million, including compensation to the tea party groups, merely the first step in showing the public how the IRS was turned into a political weapon against Americans. Thankfully, recordings and transcripts of the depositions of former IRS executive Lois G. Lerner could give the public a really great glimpse into their targeting. 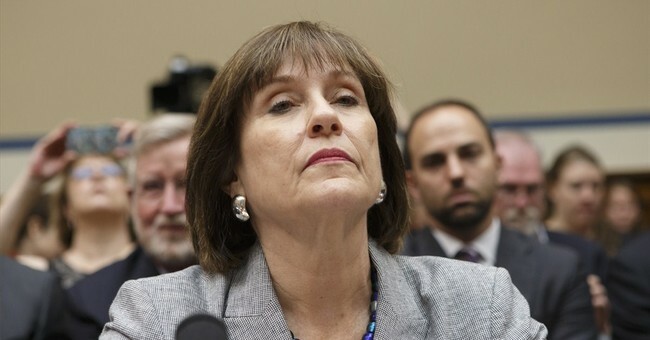 However, Lerner and her former IRS deputy Holly Paz are now saying these records must remain sealed forever, because they fear for their safety. They claim that the public would be furious if they learned the truth of what they’d done, and even pointed out one person in particular who has stoked the potential for violence against them. See, at that speech at the fairground, with my wife and mom smiling at me from the front row, I called the IRS officials “thugs” for the way they used their power against us. For four years, they harassed innocent American citizens for their political beliefs and weaponized an arm of the government to intimidate Americans during a hotly contested presidential election. It was an inexcusable display of government corruption. Now, we’re suddenly supposed to believe Lerner is scared of a guy in a cowboy hat talking to a bunch of little old ladies at a tea party event? Her lawyers said these words created a veritable Petri Dish that grew violence and hatred toward their clients. This, of course, is ridiculous. Honest people don’t sit around worrying that their testimony—especially when it merely recounts their own official acts while supposedly in the service of the public—might be scrutinized by the public. They did something horrible and got caught. In fact, I doubt they’re even genuinely scared. There were only about a hundred people in the crowd that night and -- at the time of this writing -- the video in question has gotten fewer than three hundred views on YouTube. Are we really supposed to believe the language in that speech was so inflammatory it could stoke violent retribution? If there was any justice in this world, Lerner would be sitting in jail – not worrying about receiving snarky comments on Twitter. The public didn’t deserve to be pursued and intimidated by the federal government, and no one—Lerner and Paz included—deserves to receive actual threats to their physical safety. But perhaps there’s a certain irony in Lerner claiming to fear that someone could take information she wanted to keep private and use it to harass her to serve their political motives. Guess she’d know about that.